They call it the ‘Breakfast of Champions’, not only the most important meal of the day but an essential tool for your ongoing growth and development. Feedback from your manager, peer group, spouse or partner are essential to your personal development. Their constructive input into your life and behavior can be invaluable to ensure you become a more rounded individual. The objective of feedback is not to make you conform to everyone’s wishes and become a clone but to highlight your strengths, review your thinking, sharpen your skills and in turn produce better results for both you and your team. At this time of year, most companies start their formal annual review process. This is an important time in the life cycle of your annual objectives and long term career planning and an ideal time to solicit feedback. Feedback should be frequent and informal and not left to the annual review however, if your manager is not comfortable with giving feedback or offers very little input then make it easy for them. Ask them what went well, what did not go so well and how you can improve during the next year. Your managers input will ensure that you focus on the behaviors, assignments or projects that are important to them and your future career prospects will improve accordingly. Feedback from your peer group is also very helpful. This could be associates that report to the same manager or colleagues you have worked with on assignments or projects during the last 12 months. I have seen the following feedback framework work very well with peers. Continue – what should you continue to do; this is working well for you? Stop – what should you stop doing; this does not work well for you? Start – what could you start doing; this may work for you in the future? For some people who are reluctant to provide negative or constructive feedback, this format is non-confrontational, should not cause offense and is quick and easy to complete. I have seen this Continue, Stop, Start template requested via email, Survey monkey or just attaching a Word document to an email and asking the recipient to complete. Whatever the medium, this feedback framework is quick and easy and colleagues will usually find 10-15 mins to complete. Ask a trusted peer if they would be open to give you rapid feedback. During a meeting or other workplace encounter, they could pull you aside and give appropriate and timely feedback. 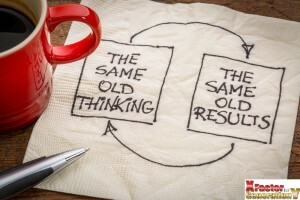 This rapid advice can be actioned and applied much quicker while the event is fresh in both of your minds, the context is clear and actions are still fresh. Timely feedback can also avoid you doing something stupid! While hearing feedback, do not be defensive. Listen to what others have to say. Assess who is giving the feedback and are their motives clear. ‘Feedback is feedback’, you can ignore it if you wish but all feedback, however critical, is useful in some way to improve or at least understand how to engage with a particular colleague in the future. 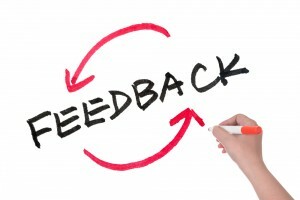 Feedback can also be used to build appropriate actions into your personal development plan for the coming year.